NASA’s Earth Observatory has an image-story on how a huge, lingering ridge of high pressure over the eastern half of the United States brought summer-like temperatures to North America in March 2012. The warm weather broke records across the central and eastern United States and much of Canada. The unseasonable warmth broke temperature records in more than 1,054 locations between March 13–19, as well daily lows in 627 locations. Cities as geographically diverse as Chicago, Des Moines, Traverse City (Michigan), Myrtle Beach, Madison (Wisconsin), Atlantic City, New York City, and Duluth, (Minnesota) all broke records for high temperatures in recent days. The intensity and scope of the heat wave is clearly visible in this map of land surface temperature anomalies. Based on data from the Moderate Resolution Imaging Spectroradiometer (MODIS) instrument on the Terra satellite, the map depicts temperatures compared to the average of the same eight day period of March from 2000-2011. 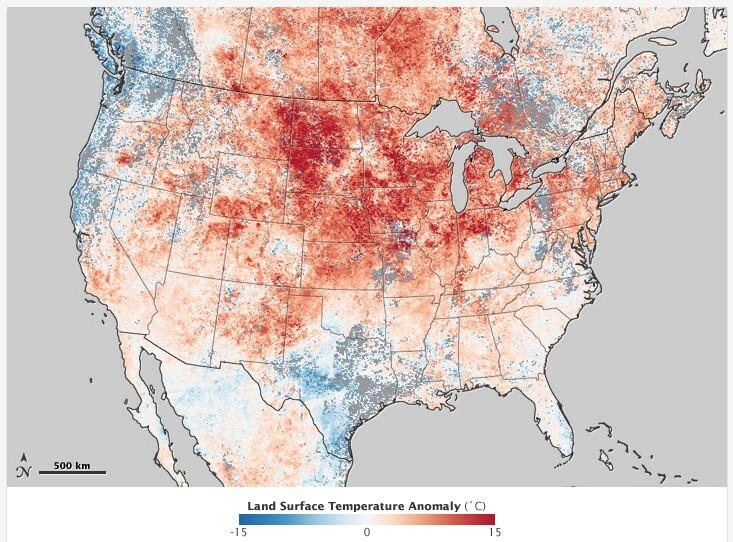 Areas with warmer than average temperatures are shown in red; near-normal temperatures are white; and areas that were cooler than the 2000-2011 base period are blue. Memory and Loss. 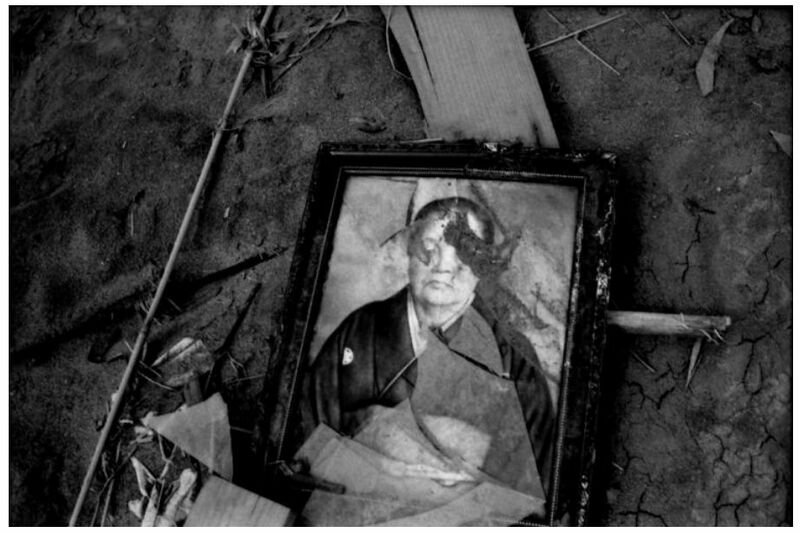 From the Fukushima album by photographer Satoru Niwa. A year since the great Tohoku earthquake and tsunami. The loss of more than 15,000 lives in Japan. The misery of the survivors and the utter anguish of those who lost loved ones, but could not go back to look for them because of the radiation from the Dai-ichi nuclear power plant reactors. The criminal negligence of the regulators in Japan and their international counterparts, the International Atomic Energy Agency. The outrage over a national government in Japan that stood by the nuclear industry rather than the victims of Fukushima. The solidarity shown by hundreds of thousands of citizens all over the world, and the determination they have shown to oppose this evil technology. The voices and visual works of hundreds upon hundreds of artists and writers, poets and craftspeople who have expressed in as many forms as they know the need for a nuclear-free world. The monumental money-fuelled obduracy of governments before the demand of their citizens, that they halt forever nuclear power generation. It has been a year since the tsunami and the meltdown at Dai-ichi. We should in this year have had not a single, not one, nuclear power plant left running on the face of the Earth. Back to work. On this grim anniversary, here is a small compilation of recent news and views, followed by links to information and data sources. It’s Not Just Fukushima: Mass Disaster Evacuations Challenge Planners – The Fukushima evacuation zone raises the issue of what would happen during an evacuation in heavily populated U.S. metropolises during a nuclear meltdown. In fact, in the U.S., more than four million Americans live within 10 miles of the 63 sites of nuclear power. Plants with at least one operating reactor, according to data compiled by the NRC based on the 2000 census. That number swells when the radius extends outward to 50 miles to affect more than 180 million Americans, and includes major metropolitan areas such as York City, Philadelphia, San Diego. In the wake of the in Japan and subsequent evacuations, could all these people in the U.S. be evacuated–or take some form of protective action – in time in similar circumstances? Nuclear contamination: a year after Fukushima, why does Brussels still back nuclear power? – One year after the Fukushima disaster hit Japan, nuclear power remains very firmly on the agenda for the European Commission. Corporate Europe Observatory examines how the industry has been lobbying behind the scenes, promising that nuclear power does not pose a risk. The nuclear industry is gearing up to the first anniversary of Japan’s Fukushima nuclear disaster by arguing that nuclear power remains central to the EU’s energy needs. Over the last year the industry has repeated key public relations messages that nuclear energy is not only safe, but central to any low carbon, secure energy future. And its vociferous PR campaign and highly effective lobby network, has been welcomed by parts of the European Commission. Emptiness and Silence. 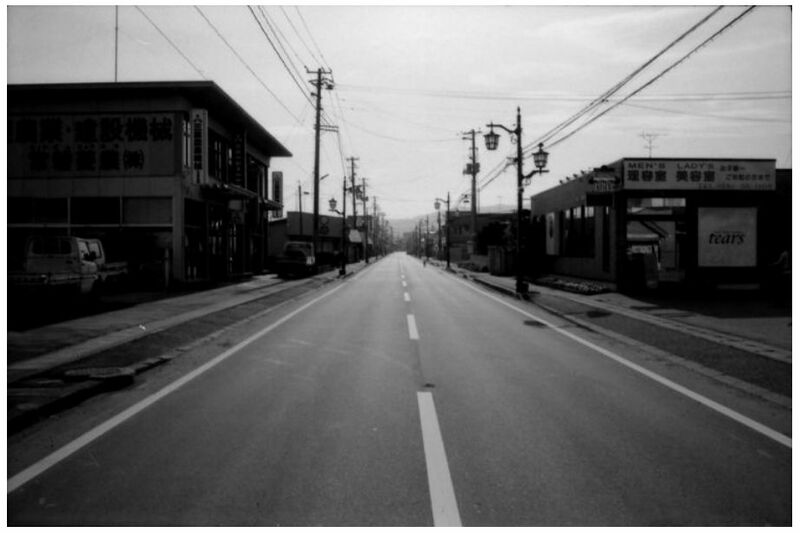 From the Fukushima album by photographer Satoru Niwa. A year on from Fukushima, the policy ramifications are still being felt across the EU, particularly in some member states. While the industry concedes that the accident “had a major impact on the EU institutional agenda,” has been lobbying hard to minimise these impacts, trying to make sure that Fukushima does not compromise the potential for nuclear new build in the EU. Hundreds of Events Globally Will Mark One-Year Commemoration of Fukushima Nuclear Disaster – Hundreds of thousands of people across the world will be involved in actions around the March 11 commemoration of the Fukushima, Japan nuclear disaster which began on that date a year ago. Events will be going on throughout the month of March and into April. Beyond Nuclear has put together a Global Calendar of Events, which is frequently updated on it. There is a March Against Nuclear Madness Facebook page. Undeterred by Fukushima: Nuclear Lobby Pushes Ahead with New Reactors – A year after the catastrophe at the Fukushima nuclear power plant, it is clear just how little the nuclear lobby and its government supporters have been unsettled by the disaster in Japan. But rejection of nuclear energy is growing among people the world over – and building new reactors makes no sense in economic terms. On the face of things, it would appear that little has changed. Only a few countries, such as Switzerland, Italy and Belgium, are joining Germany in turning their backs on nuclear energy. Indeed, it is primarily Russia and the United States, the two nuclear heavyweights, that are competing in a new atomic race, though this time with technologies geared toward civilian purposes. New nuclear power plants are being built with particular relish in emerging economies, such as China and India, who want to satisfy at least part of their energy needs with uranium. For the builders and operators of nuclear energy plants, the accident in Japan came at what might be considered a bad time. After years of stagnation, not only the emerging economies of Asia – China, South Korea and India – but also Russia and the United States were beginning to put greater emphasis on nuclear energy. This decision was driven not only by the growing energy needs of the newly industrializing nations, but also by fears related to carbon emissions and climate change. On Resources Research: (1) Nuclear power in India and Prime Minister Singh’s ‘foreign’ slander; (2) Koodankulam: An Open Letter to the Fellow Citizens of India; (3) The Fukushima 50? Or the Fukushima 18,846? ; (4) See the Fukushima nuclear emergency page for extensive background coverage, documents and material; (5) See the running post on Fukushima for reportage and insights. Health uncertainties torment residents in Fukushima – Yoshiko Ota keeps her windows shut. She never hangs her laundry outdoors. Fearful of birth defects, she warns her daughters: Never have children. This is life with radiation, nearly one year after a tsunami-hit nuclear power plant began spewing it into Ota’s neighborhood, 60 kilometers away. She’s so worried that she has broken out in hives. “The government spokesman keeps saying there are no IMMEDIATE health effects,” the 48-year-old nursery school worker says. “He’s not talking about 10 years or 20 years later. He must think the people of Fukushima are fools. “It’s not really OK to live here,” she says. “But we live here.” Ota takes metabolism-enhancing pills in hopes of flushing radiation out of her body. To limit her exposure, she goes out of her way to buy vegetables that are not grown locally. She spends 10,000 yen a month on bottled water to avoid the tap water. She even mail-ordered a special machine to dehusk her family’s rice. Searching the Wastes. 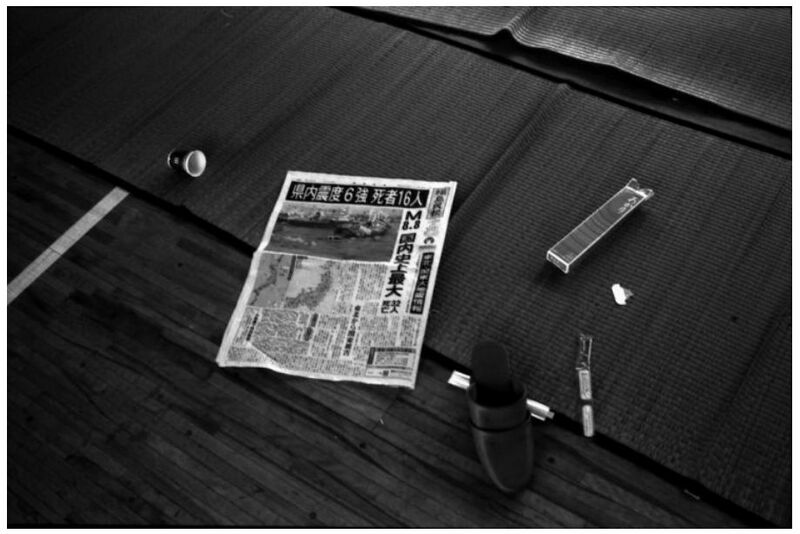 From the Fukushima album by photographer Satoru Niwa. Released records of nuclear crisis meetings show chaos, confusion over lack of info – Just four hours after the tsunami swept into the Fukushima nuclear power plant, Japan’s leaders knew the damage was so severe the reactors could melt down, but they kept their knowledge secret for months. Five days into the crisis, then-Prime Minister Naoto Kan voiced his fears it could turn worse than Chernobyl. The revelations were in 76 documents of 23 meetings released Friday, almost a year after the disaster. The minutes of the government’s crisis management meetings from March 11—the day the earthquake and tsunami struck—until late December were not recorded and had to be reconstructed retroactively. They illustrate the confusion, lack of information, delayed response and miscommunication among government, affected towns and plant officials, as some ministers expressed sense that nobody was in charge when the plant conditions quickly deteriorated. The minutes quoted an unidentified official explaining that cooling functions of the reactors were kept running only by batteries that would last only eight hours. “If temperatures in the reactor cores keep rising beyond eight hours, there is a possibility of meltdown,” the official said during the first meeting that started about four hours after the magnitude 9.0 earthquake and tsunami hit the Fukushima Daiichi plant March 11, setting off the crisis. Apparently the government tried to play down the severity of the damage. A spokesman for the Nuclear and Industrial Safety Agency was replaced after he slipped out a possibility of meltdown during a news conference March 12. 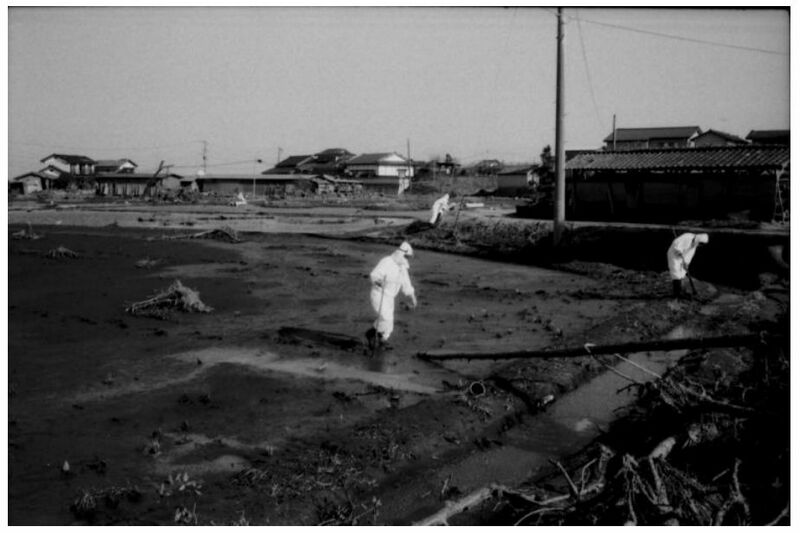 Containing Fukushima: Saving Japan From Itself (Huffington Post / K.T. Hiraoka) – The disaster at Fukushima last year exposed how entrenched interests among key decision-makers have contaminated Japanese society, endangering the long-term prosperity of Japan. These special interests often do what is right for themselves, as opposed to what is in the best interests of the Japanese people. 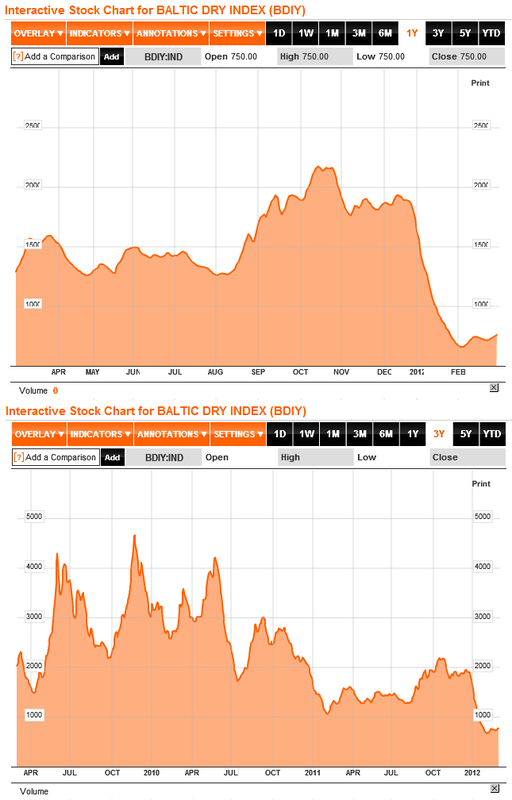 In this two-part series, discussion on what has transpired over the past twelve months as a result of decisions made related to the Fukushima disaster (Part I) will lead to a look at decision-making during the crisis in subsequent weeks and months that have passed (Part II). As the current decision-making system in Japan increasingly works to the detriment of Japanese society, what is needed instead is a more transparent, honest, and benevolent decision-making system that listens to the wishes of the people and responds to it. The matchless Japan Focus has throughout the year kept track of these sources, sincere thanks to them and appreciation for their steadfast work. The journal has provided thoughtful, critical and independent coverage of the incident and its effects. Local Histories. From the Fukushima album by photographer Satoru Niwa. The Wall Street Journal’s blog “Japan Realtime” offers eclectic commentary on contemporary Japan. The focus is on economic issues but the blog has presented solid original reportage on Fukushima since March. A series of original translations on issues relating to the Tsunami and nuclear crisis from a McGill University translation seminar organized by Prof. Adrienne Hurley. The blog Global Voices features the work of volunteer translators who strive to spread awareness of local perspectives that often end up lost in mainstream reportage. Highlights of the Fukushima coverage include “A Nuclear Gypsy’s Tale”. A collection of links and commentary in French. Twitter stream for Fukushima articles and info in English. On the Peace Philosophy Centre blog, Asia-Pacific Journal Coordinator Satoko Norimatsu presents a range of hard-hitting criticisms of the Japanese government and TEPCO responses to the Fukushima crisis including original translations of sources not otherwise available in English and extensive Japanese and English language coverage of official, NGO and blog sources. Ten Thousand Things is a blog Supporting Positive Peace in Japan, the Asia-Pacific and Everywhere which includes extensive coverage of peace and environmental movements. English and Japanese blog specializing in 3.11 economic and financial issues. Green Action Kyoto, an NGO which has campaigned against nuclear power since the early 1990s, presents a comprehensive and critical blog of Fukushima stories in English drawing on government, media and NGO sources. Greenpeace has presented some of the most critical coverage of the Fukushima nuclear disaster. Greenpeace, in February 2012, published a major critical overview of the 3.11 disaster and crisis. The study examines the nuclear meltdown, assesses the dangers of radiation, the fundamental failure of the Japanese nuclear system, and the issues of compensation to victims. The Citizens’ Nuclear Information Centre is a longstanding organization that aims to provide information about nuclear energy and its risks to the Japanese public. Their bi-monthly newsletter is a valuable source of information on nuclear issues. They also offer a blog containing video resources and links to important anti-nuclear publications. The website of Japan’s Institute for Sustainable Energy Policies, an NGO devoted to phasing out atomic energy. English and Japanese sites. The Japanese website of leading nuclear protest organizer “Shiroto no Ran”. There is a collection of hundreds of anti-nuclear posters at No Nuke Art. The National Network to Protect Children from Radiation (in Japanese). EShift, a Japanese network dedicated to phasing out atomic energy in favor of natural renewables. Fukushima coverage by the Bulletin of Atomic Scientists, the premier source of socio-scientific views and praxis on the world nuclear industry. Arnie Gunderson’s Fairewinds Associates provides critical analysis of global nuclear issues by a scientist. It has closely followed the Fukushima situation. The Institute for Energy and Environmental Research, a group which aims to provide concise and easily understood commentary on important scientific issues for the general public. The Atomic Age: From Hiroshima to the Present is a resource maintained at the University of Chicago. A useful addition from FAO and IFAD, this publication describes an array of organisations and institutional for access to and help managing natural resources for small farmers. These include mediation committees for conflict resolution over land or securing land-use rights, women’s groups for reclaiming land, and forest-community based enterprises for generating income activities. The publication, ‘Good Practices in Building Innovative Rural Institutions to Increase Food Security’, outlines how a vast array of producer-organization initiatives have enabled small producers to increase their access to markets and productive assets. From 'Good Practices in Building Innovative Rural Institutions to Increase Food Security', by Food and Agriculture Organization of the United Nations (FAO) and International Fund for Agricultural Development (IFAD). 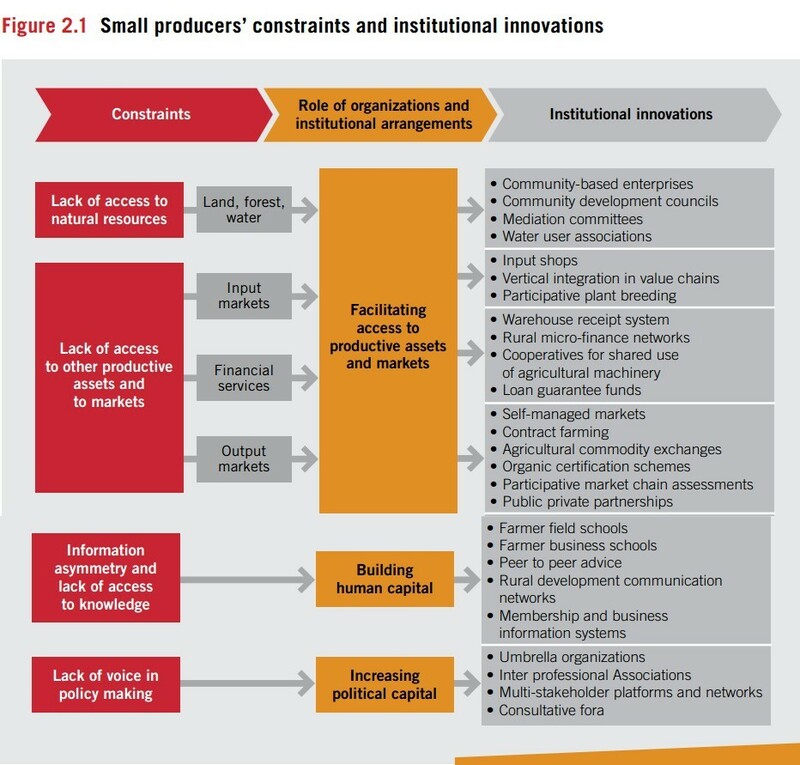 The case studies describe some of the services and resources that these institutional arrangements and new models of public-private engagement can offer to small-scale producers. They include accessing and managing natural resources; providing inputs like seeds and equipment; enabling access to markets; improving information and communication, and helping small producers to have a voice in decision-making processes. * Farmer Field Schools developed by FAO in Asia, and subsequently in Africa, have enabled millions of small farmers to analyze their production systems; identify their risks and opportunities and test solutions, and adopt new practices that lead to improvements in their livelihoods and food security. * West African and Indian farmer groups have helped members to obtain short-term credit through a “warehouse receipt system”. 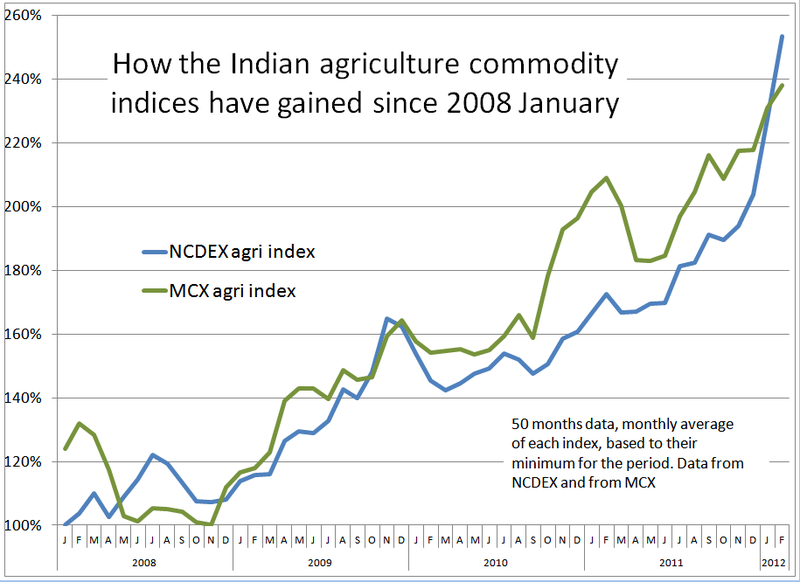 In collaboration with micro-finance institutions, they have provided storage facilities for agricultural products. The receipts are then used as guarantees to obtain short-term credit. * In India, where a disastrous harvest can lead poor people to mortgage their lands, a women’s association has provided loans to release mortgaged land and free borrowers from dealing with money lenders. * In Cameroon, farmers’ groups, collectors, buyers, resellers and researchers collaborated to select a new plantain variety that fetches a higher price than traditional plaintains. The new variety is also used to make specialty dishes and chips. This has led to the emergence of small groups, including dozens of women’s groups, concerned not only with the production and sale of bunches, but also with processing the plantain into chips. * In the Gambia, the National Fisheries Post Harvest Operator Platform is a mechanism for dialogue where governments can learn about small producers’ needs while producers express their concerns and preferences. * In Honduras, greater control over natural resources was transferred to local communities as part of the decentralization process, resulting in better land management and cropping practices. These Community Development Councils, representing rural families, participated in the Municipal Council and managed to ban slash-and-burn agriculture.